From the upper Midwest states: Minnesota, Iowa, Wisconsin, Illinois, Michigan, Missouri, Nebraska, and Kansas. 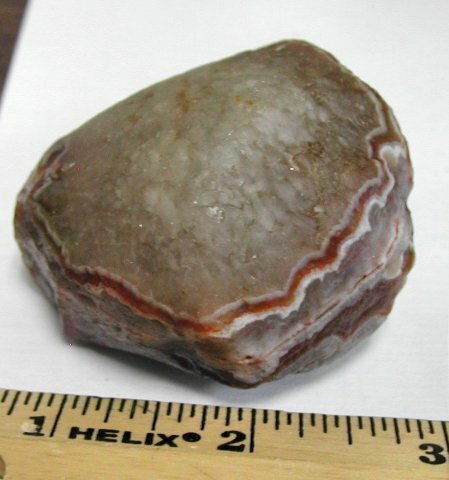 Brought down from Lake Superior by several glaciation stages, and collected in stream beds, gravel pits, and plowed fields. Known for beautiful banding and colors. A few exhibit great "eyes". Some of these will be polished, some unpolished. We try to select out the best ones we can get for your collection. Note: we may on occasion give the agates a coat of removable mineral oil in order to bring the color and pattern out in photographing. #ALAK4. 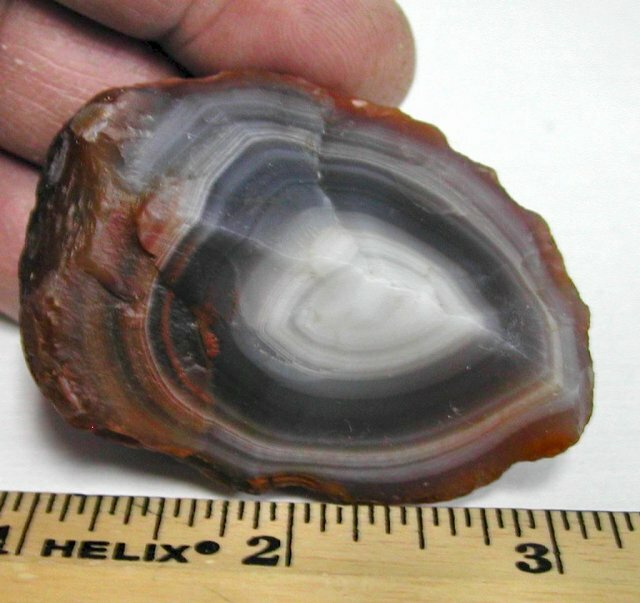 Here's a cool bluish/grayish/purplish agate with white banding and some brown. Unpolished with full pattern showing. This one might be a good candidate for face-polishing actually. Weighs in at 2-1/2 oz. $25.00.